After Solomon died, Ahab, who was evil, ruled Israel selfishly. Ahab turned the people away from God. They were worshiping a false God named Baal. Ahab had 450 prophets of Baal. God only had one prophet. His name was Elijah. Elijah, who was God’s only prophet, bravely challenged Ahab and his 450 prophets. Ahab’s prophets made an altar. They called to their god to make a fire but there was no fire because it was a false god. 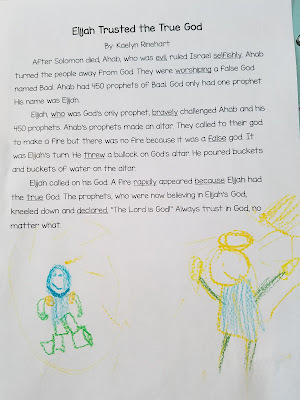 It was Elijah’s turn. He threw a bullock on God’s altar. He poured buckets and buckets of water on the altar. 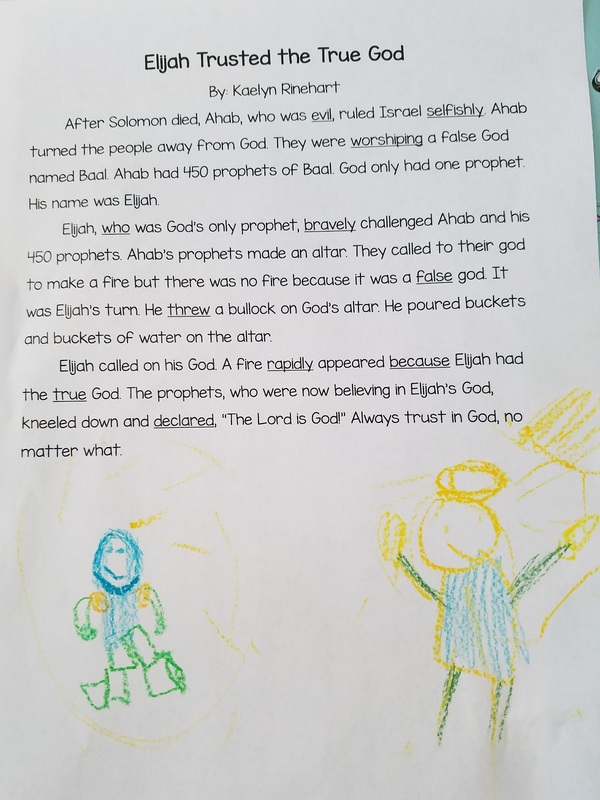 Elijah called on his God. A fire rapidly appeared because Elijah had the true God. The prophets, who were now believing in Elijah’s God, kneeled down and declared, “The Lord is God!” Always trust in God, no matter what.